Most of us welcome January as a time of new beginnings, as an opportunity to resolve to live, think, or behave differently. Winter—even in Texas—reinforces our sense that we can be stripped to our bare branches, only to bloom anew. It is an act of supreme optimism, this belief that a fresh start lies just ahead. As a new semester begins, I hope each of us will embrace this renewed sense of the possible. What will you do to make this year and this semester better than the last? Despite the regular cadence of college life that continues from semester to semester, there always exists an opportunity to “be better.” The idea that we can evolve and grow while respecting our scholarly foundations is fundamental to a liberal arts experience. This truth is at the heart of Trinity’s celebration of our 150th anniversarythis year, which commences on Friday, Feb. 1, with an afternoon of service and an evening of celebration. 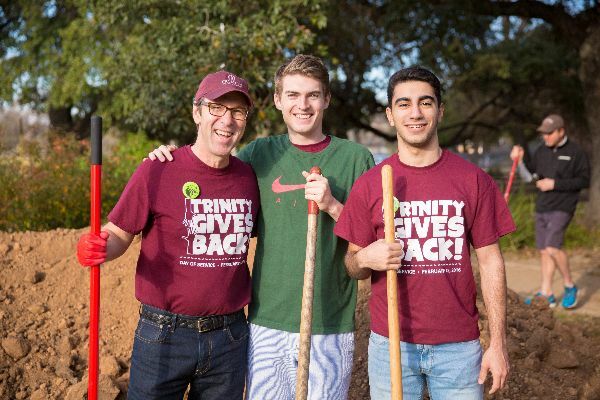 This special afternoon of service commemorates Trinity’s annual tradition of students, faculty, and staff taking time to give back to the San Antonio community. We will kick off this event with keynote speaker Maj. Gen. Kevin Berger ’79, president and CEO of Goodwill industries of San Antonio—one of the 13 nonprofit agencies where Trinity will be volunteering. While there, volunteers will make a difference by assisting with donations for Goodwill's e-commerce program, whose revenue funds programs that support education, training, and employment for individuals, all building blocks of a strong community. I ask you to consider volunteering with our Trinity team during this afternoon of service. The event begins at 12:30 p.m. at Calgaard Gym, with our opening ceremony beginning at 1:15 p.m.
At the close of our afternoon of service, volunteers along with other members of our Trinity community will come together for our inaugural evening celebration on campus, where I will be joined by San Antonio Mayor Ron Nirenberg ’99, who will help officiate the start of our sesquicentennial. I invite you to come share in the campus’s transformation and enjoy an evening of fun, food, and good company. As heirs of the past and stewards of the future, I remind you to share your Trinity memories with us throughout the year, as I will be sharing anniversary news and stories with you as well. 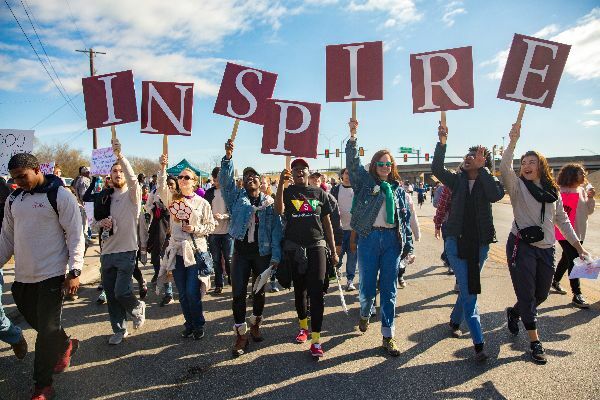 Another occasion that instills optimism on our campus is Trinity’s week-long celebration of Martin Luther King Jr.’s legacy of justice, peace, and equity for all. As per tradition, the Trinity community will participate in the City of San Antonio’s 51st Annual MLK march on Monday, Jan. 21—one of the largest in the nation. We are also honored to be presenting Ijeoma Oluo, author of So You Want to Talk About Race, as our guest speaker for the 2019 Martin Luther King Jr. Commemorative Lecture on Thursday, Jan. 24, at 7:30 p.m. I am especially proud to announce that Deneese Jones, Ph.D., Vice President for Academic Affairs, is being honored by Henry Cisneros and Aaronetta Pierce at an appreciation reception for San Antonians who have advanced King’s dream on Monday, Jan. 21. 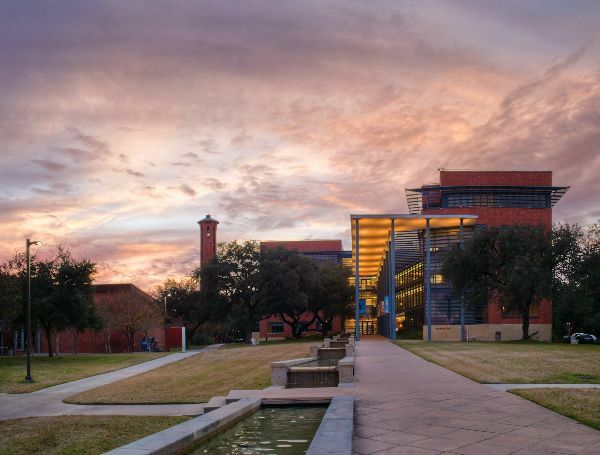 I think you will agree that 2019 promises to be a phenomenal year on the Trinity campus. I wish all of you a successful spring semester and a new year filled with good health, joy, and peace. 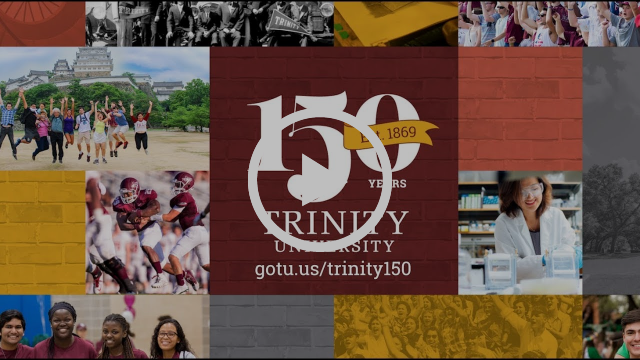 As Trinity's chief storyteller, I love to share news about the University. But I also love hearing from you. Please feel free to contact me at TUPresident [at] trinity.edu. Also, follow me on Twitter @TU_President19 or follow conversations on my website at president.trinity.edu.